NHTSA says the car stolen most often during the 2011 calendar year was the Charger, with 4.8 thefts for every 1,000 cars produced in 2011. Editor's note: Earlier versions of this story contained an incorrect statistic from NHTSA on its 2011 preliminary theft rate. The agency today has revised and corrected its figures. This story now reflects those changes. 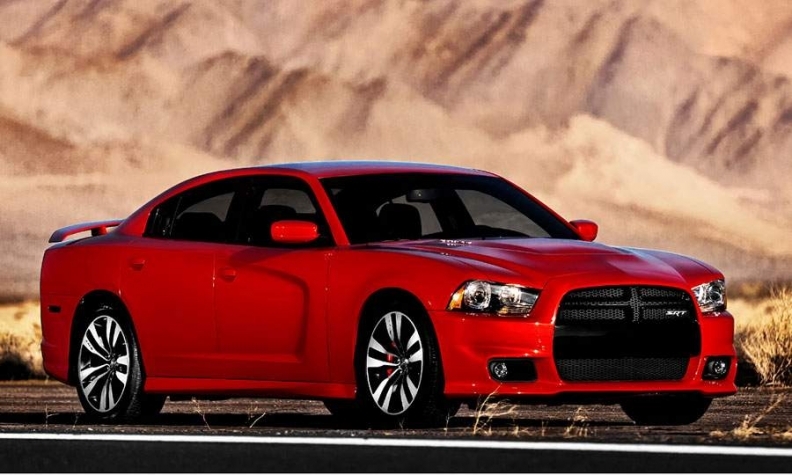 WASHINGTON -- The most theft-prone vehicle in America might be the Dodge Charger. Or it might be the Ford F-250 pickup truck. GM spokeswoman Sharon Basel said the Escalade -- which was lower on the HLDI list than in the past -- has received several major anti-theft upgrades, many of which were implemented for the 2012 model year. The SUV is now equipped with the PASS-Key III+ system, which offers more sophisticated encryption for the key and key cylinder. An inclination sensor is also available as an option to prevent push-away thefts, where a thief may try to tow a vehicle away. The sensor sets off an alarm following an unwarranted change of the vehicle's angle from the ground. In equipped vehicles, OnStar can also remotely block the ignition or slow down cars if they're reported stolen. In regards to other vehicles on the list, Basel said GM has an engineer who works with law enforcement to understand criminal trends and educate officials about anti-theft systems currently on the market. "This is a full-time process. We look at this with seriousness because it impacts our customers," Basel said. "This is not something that is stagnant, there is constant change in this and updates to deterrent systems that need to take place." A Ford spokeswoman said in a statement that the company's vehicles, including the F-Series trucks, offer the latest in anti-theft technology, including SecuriLock, a standard feature that prevents vehicles from being started without keys that contain a unique computer chip. "Ford continually monitors the performance of its vehicles and is confident locking mechanisms work properly in all of our vehicles," the spokeswoman said. "But, like any lock, thieves can overcome them." "Customer security is paramount at Chrysler Group," Chrysler said in an e-mailed statement. "Accordingly, features such as engine immobilization have been available on many models -– including the Dodge Charger -– for several years. Further testament to the Charger's security is its popularity as a police vehicle." NHTSA says its preliminary data show that model-year 2011 vehicles were stolen that calendar year at rates 15.4 percent lower than the year before. Theft claims for MY 2010 to MY 2012 vehicles per 1,000 years of insurance coverage. In 2011, there were 0.99 thefts for every thousand vehicles produced, down from 1.17 thefts per thousand cars in 2010, NHTSA said today in revised figures. To compile the report, which contains statistics from 226 vehicle lines, NHTSA compared vehicle theft data from the FBI's National Crime Information Center with production data reported to the EPA. NHTSA data show that the nation's vehicle theft rate has declined by an average of 13 percent each year since 2006, which was the last time the rate increased.